The MagicMount Pro is a practical and versatile charging dock that works with iPhone 7/7 Plus, Galaxy S8/S8 Plus and various smartphones. As we can see from the images, the dock shows off an elegant and low-profile appearance design, and the aluminum frame not only provides enhanced durability, but also adds some stylish modern aesthetics. The charging station features a StickGrip suction base that provides secure hold to nearly any textured surface, so you even can fix it on the bottom of your iMac. 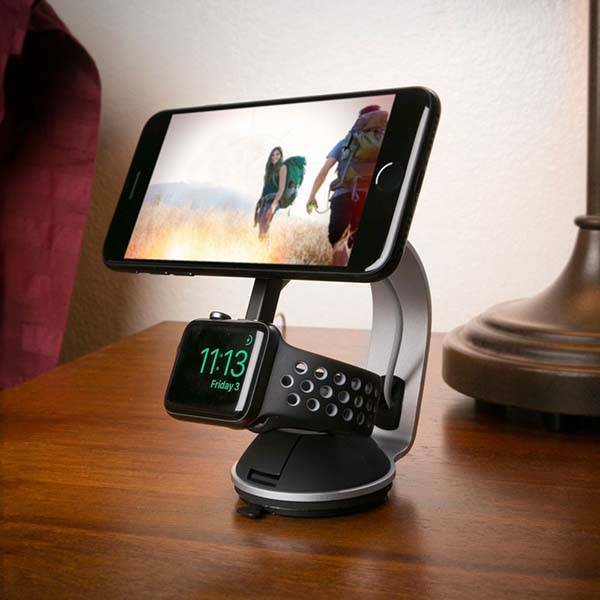 Using 4 powerful neodymium rare-earth magnets and included metal plates, the charging dock firmly holds your smartphone in place, and the 4-axis mount is adjustable for an optimal viewing angle. 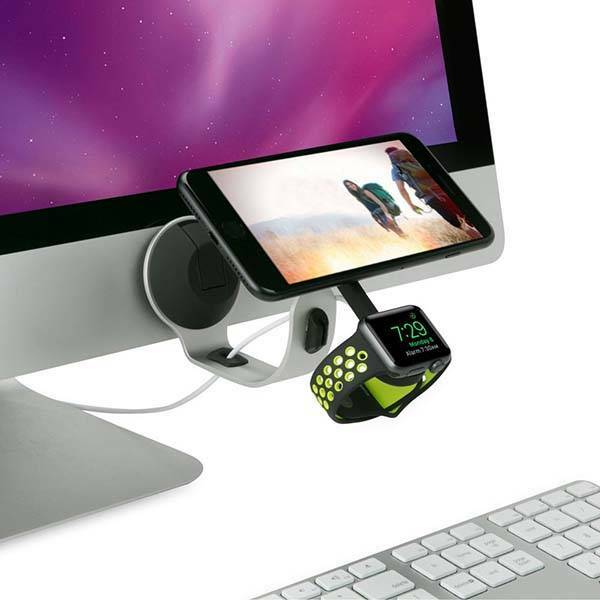 Moreover, the base port is designed to keep the charging cable organized, and an included Apple Watch stand holds your smartwatch for charging. In addition, it also supports Apple Watch’s nightstand mode. The MagicMount Pro charging station is priced at $44.99 USD. If you’re interested, jump to Scosche Amazon shop for its more details. BTW, don’t miss the cylindrical charging station and more cool related gadgets by following tags.